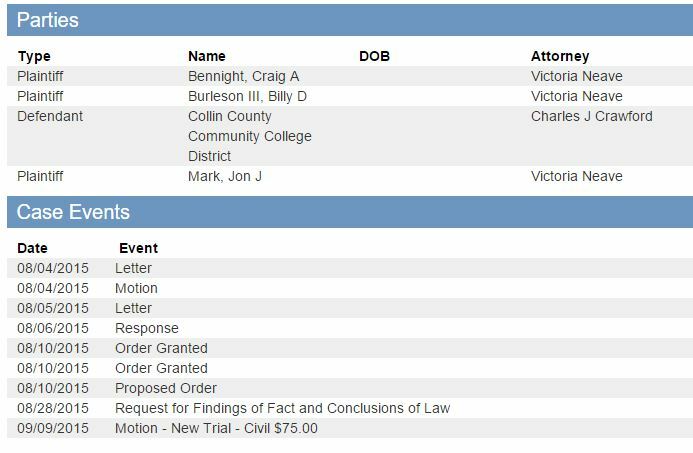 The plaintiffs have filed a motion for new trial in the whistleblower case that was dismissed on the College District’s plea to the jurisdiction (an assertion of governmental immunity). This gives the plaintiffs 90 days to appeal (Texas Rule of Civil Procedure 26.1), if the court does not reverse its holding upon hearing the motion for new trial. The ninetieth day after the judgment is November 8, which is a Sunday, so the plaintiffs should have until November 9 to file a notice of appeal. The appeal deadline otherwise was today, so the plaintiffs have gained some breathing room. Also recall that the judge’s findings of fact and conclusions of law are due September 17. Seeing those should assist the plaintiffs in presenting their arguments for a new trial.